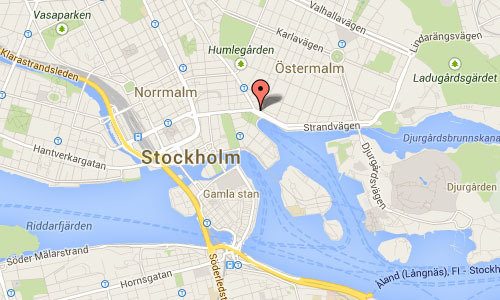 Nybroplan is a public space in central Stockholm, Sweden. 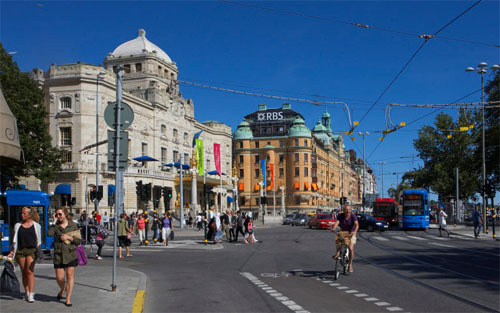 Located on the border between the city districts Norrmalm and Östermalm, Nybroplan connects a number of major streets, including Birger Jarlsgatan, Strandvägen, Hamngatan, and Nybrogatan. 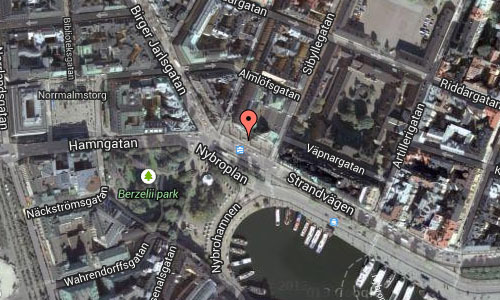 The squares Norrmalmstorg, Stureplan, and Östermalmstorg are located within 500 metres, as is the park Kungsträdgården. 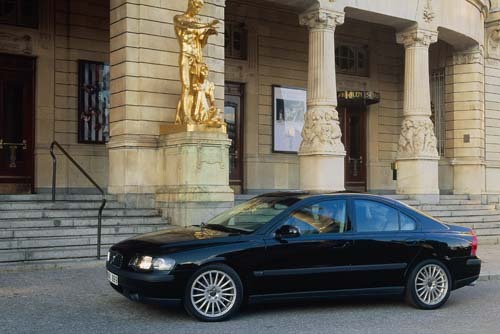 It is the location of the Dramaten, Kungliga Dramatiska Teatern or the Royal Dramatic Theatre and Berzelii Park with the restaurant Berns Salonger. Facing the bay Nybroviken, it is also public transportation hub offering ferry trips to Djurgården and the Stockholm Archipelago. The Royal Dramatic Theatre (or in Swedish: Kungliga Dramatiska Teatern or Dramaten) is Sweden’s national stage for “spoken drama”, founded in 1788. Around one thousand shows are put on annually on the theatre’s eight running stages. 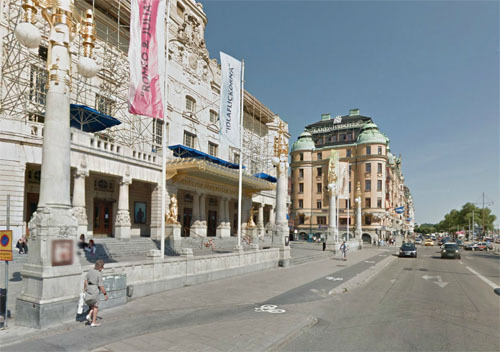 The theatre has been at its present location in the Art Nouveau building at Nybroplan, Stockholm since 1908. The theatre was built by the architect Fredrik Lilljekvist. Famous artists like Carl Milles and Carl Larsson were involved in making the decorations, and some of the interior decorations were made by Prince Eugen. 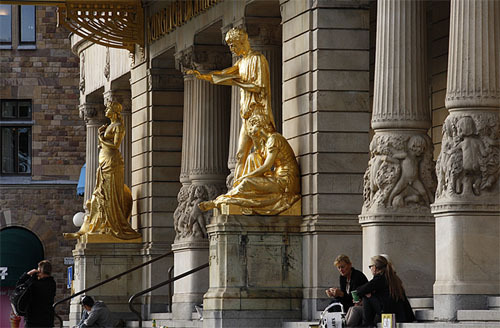 Near the entrance of the building thera are two with gold covered bronze sculptures, representing poetry and drama (they are called also Poesin and Dramatiken), by John Börjeson (1835-1910).